Have you heard the old adage, “Don’t buy trouble”? I’m thinking we could use a lot more of that attitude from polar bear and Arctic seal biologists these days. 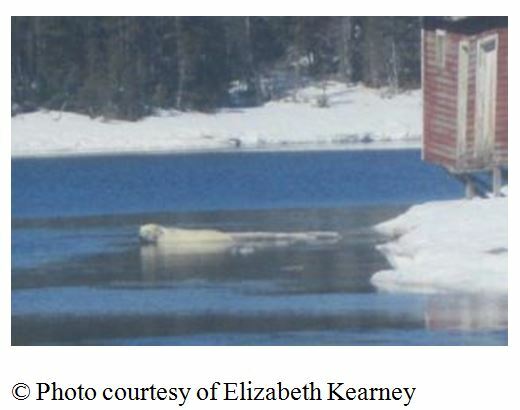 In an interview with CBC News yesterday, Department of Fisheries and Oceans Canada (DFO) seal specialist Mike Hammill fed the fear the media wanted to hear while admitting this year’s low ice levels in the Gulf of St. Lawrence will not affect harp seal numbers significantly (7 March 2016, “Lack of ice means fewer seal pups off the Magdalen Islands this year: Researcher says impact on overall herd limited, but ice patterns over time could be concern”). And University of Alberta’s Andrew Derocher has been busy tweeting his heart out that slightly lower than average sea ice levels this winter could mean a “challenging” spring for some polar bears – as if spring isn’t always challenging for some bears (especially young bears that are inexperienced hunters and low in the social hierarchy – meaning bigger, older bears often steal their kills – and old bears that are running out of steam). 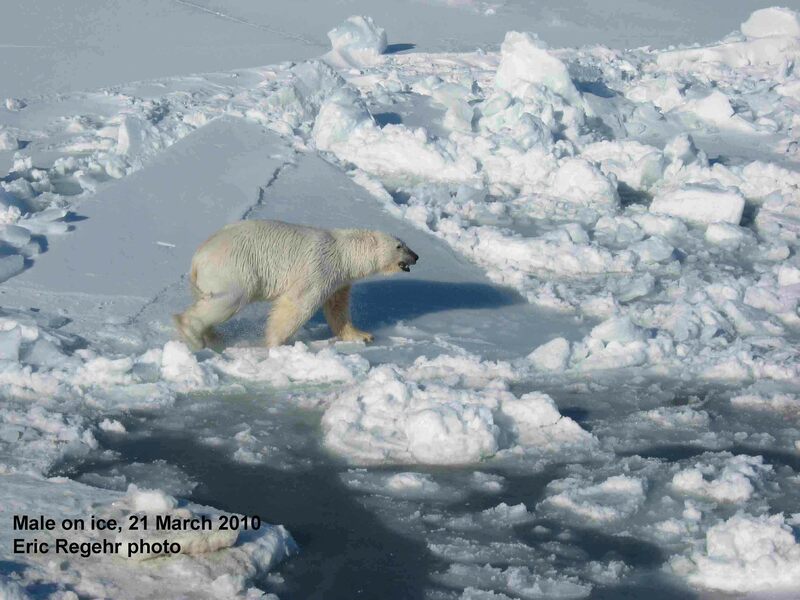 Despite the public outcry last week over future polar bear survival, the polar-bears-are-doomed crowd can’t hide the fact that this year, spring sea ice habitat for polar bears worldwide has been excellent. This year on 19 July, for example, Hudson Bay had greater than 150,000 square km more sea ice than there was in 2009 on that date (526.2 vs. 368.5 mkm2)(1992 was a particularly cold year and most bears left the ice as late in 2009 as they did in 1992).1 Conditions have also been excellent for pregnant females around Svalbard – Norwegian polar bear researchers recently reported a good crop of cubs this spring. Worldwide, there was exactly the same amount of Arctic sea ice present on 18 July 2015 as there was back in 2006 (Day 199) – 8.4 mkm2. By 19 July (day 200), 2015 had more ice than 2006 (8.4 mkm2 vs. 8.3). All this means that recent summer ice melt has not impinged on the spring feeding period that is so critically important for polar bears. So much ice left in early summer means there was lots of sea ice in the spring (April-June), even in the Southern Beaufort Sea. The only region with sea ice coverage well below the last five years is the Chukchi Sea (see plots below, click to enlarge). 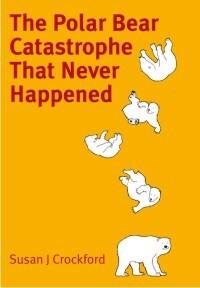 So why aren’t we hearing the-sky-is-falling stories about Chukchi bears? 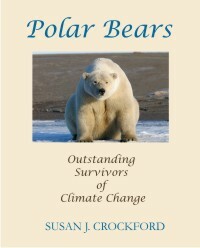 Because biologist have already demonstrated that polar bears in the Chukchi do very well even with no summer sea ice. 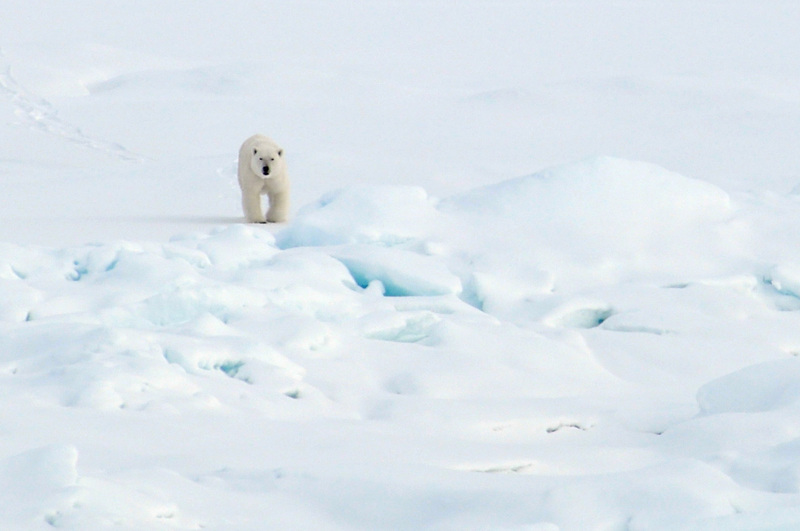 Did we hear a huge hue and cry in 2013 about starving polar bears and low cub survival in the Southern Beaufort Sea? No, we did not. Despite the record-breaking low summer sea ice extent the year before (2012), and despite the fact that USGS biologists were putting collars on polar bear females there the spring of 2013 (Rode et al. 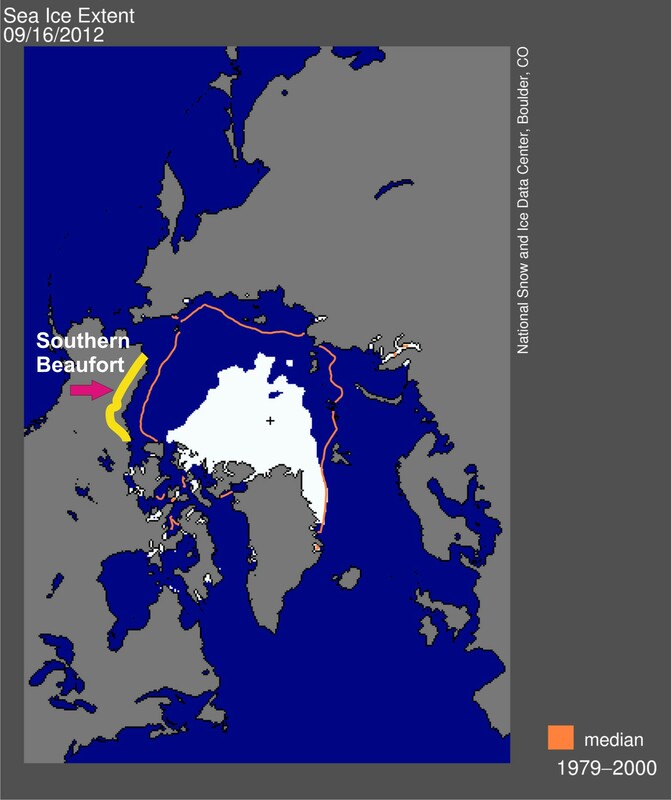 2014), we heard not a peep about a polar bear catastrophe in the Southern Beaufort. Odd, isn’t it? 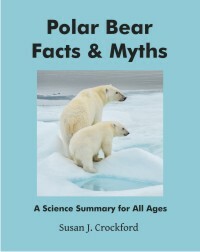 Several polar bear biologists and sea ice experts were busy late last fall suggesting to the media that a decline in polar bear numbers in the Southern Beaufort was due to declines in summer sea ice, which they blamed on global warming (see quotes below and earlier discussions here, here and here). 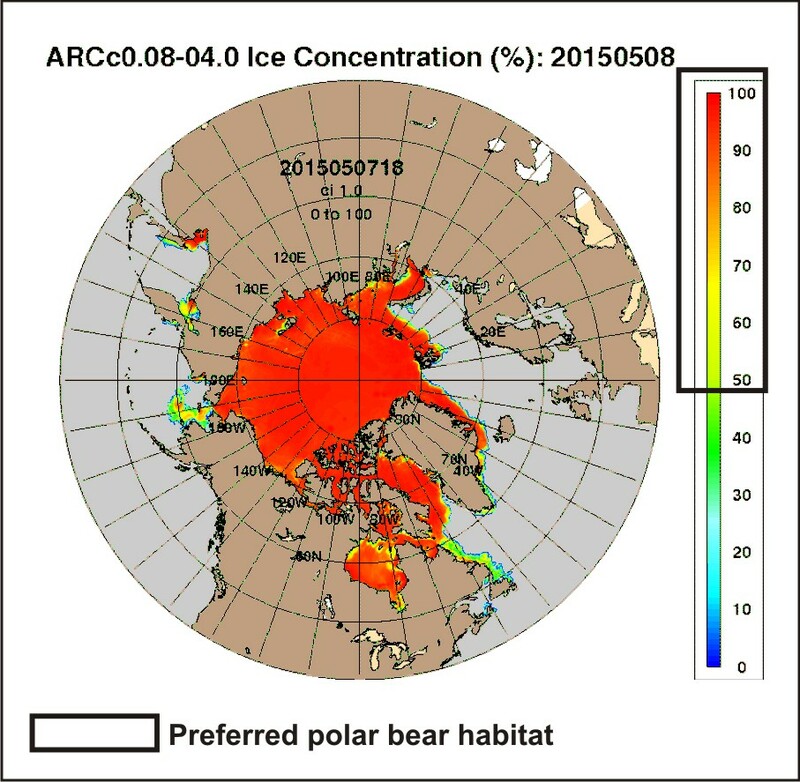 However, they made no mention of the fact that the record-breaking September ice extent in 2012 did not seem to have any noticeable effect on polar bear health or survival in 2013.